On the 50th anniversary of the March on Washington, it’s an especially good time to take a few minutes and rewatch Martin Luther King’s most famous speech. One of the truly great orators of history, Dr. King could captivate an audience with a rhetorical dexterity rarely ever matched by any speaker. While the Civil Rights Movement certainly had its share of charismatic leaders who could drum up a crowd, Martin Luther King uses his words to paint a picture of his message that is impossible to shrug off. With accessible, positive, unifying language, Dr. King not only castigates the hypocritical status quo in 1960’s America, but he simultaneously touches the hearts of the American conscience, providing the very needed moral leadership to catapult the Movement’s goals into genuine motion. Without King’s ability to speak to the Great Majority of Americans who believed in the Declaration of Independence’s words that “All Men Are Created Equal.” Intellectually, most Americans were already on Dr. Kings side – even if they didn’t know it. Instead of demanding that America change its fundamental being and bow to a minority group’s demands, Martin Luther King extolled the virtues of America’s ideals and urged all Americans to live up to our original founding creed. King knew the Founders had got it right in setting the bar so high for the American experiment. But while so many others excoriate the Founding Fathers as perpetrators of slavery, King used the lofty principles of the American Revolution to show how America didn’t need to fundamentally change, it needed to recognize what it already was: a beacon of liberty. When the architects of our Republic wrote the magnificent words of the Constitution and the Declaration of Independence, they were signing a promissory note to which every American was to fall heir. This note was a promise that all men – yes, black men as well as white men – would be guaranteed the unalienable rights of life, liberty and the pursuit of happiness. King’s gift for persuasion is on full display here. Keep in mind this speech was given during an extremely volatile time in American life. The Voting Rights Act was languishing in Congress, the peace dividend after World War II was all but over, and race riots were a constant threat to a peaceful society. 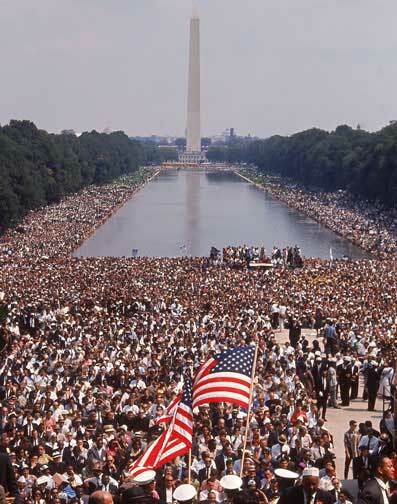 In fact, many commentators were convinced the March on Washington would devolve into yet another violent demonstration. King’s monumental task of inspiring a demoralized black America to continue fighting with positivity in order to claim the “riches of freedom and the security of justice” while also appealing to moderate whites and a bitterly stubborn Southern tradition of knee-jerk opposition to Civil Rights. He could have complained on behalf of black people to the white establishment. He could have lambasted white people for the sins of their fathers and a diminishing – though certainly prevalent – racist minority. 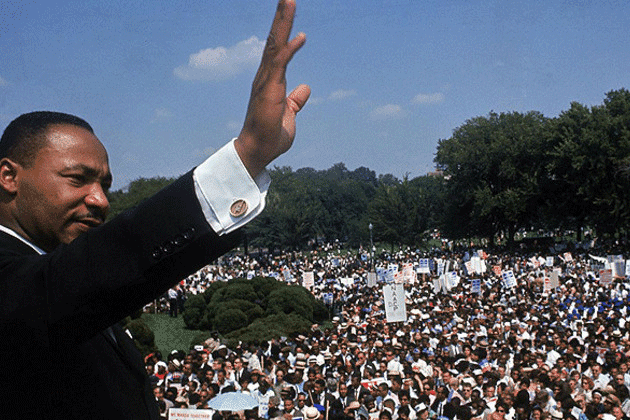 Dr. King could have used his unparalleled pulpit to instigate anger and sow seeds of division. He could have transferred the “heat of oppression” his people were so used to into a vindictive quest to return the hatred onto the oppressors. Let us not seek to satisfy our thirst for freedom by drinking from the cup of bitterness and hatred. We must forever conduct our struggle on the high plane of dignity and discipline… Again and again we must rise to the majestic heights of meeting physical force with soul force. All this and the speech was only mediocre to that point – at least to Dr. King himself. He did not believe the speech was going as well as it should – he was not capturing the crowd in the same way he knew he had done before. And with the increasingly volcanic political environment, he knew that to let this moment pass him by could mean missing out on the opportunity to move the Civil Right’s Movement a major step forward. I say to you today, my friends, even though we face the diffichttp://www.cliffsatell.com/wp-admin/post-new.phpulties of today and tomorrow, I still have a dream. 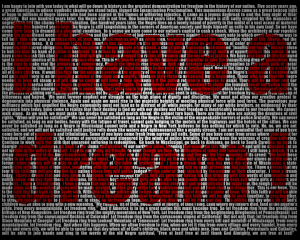 It is a dream deeply rooted in the American Dream. I have a dream that one day this nation will rise up, live out the true meaning of its creed: “We hold these truths to be self-evident, that all men are created equal.